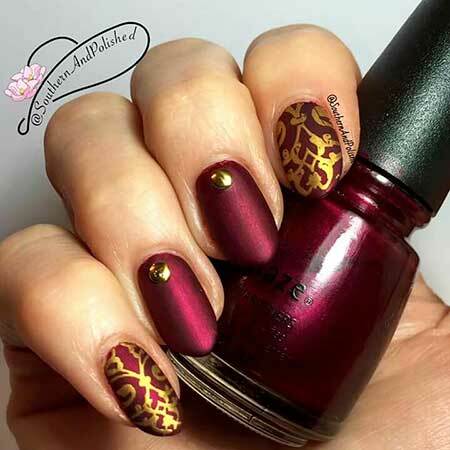 Burgundy is a great color for almost every season, it looks great with lots of different colors from mustard to black but it looks great with gold! 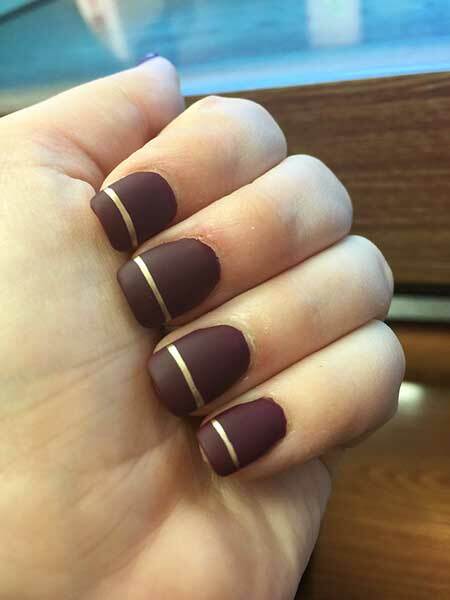 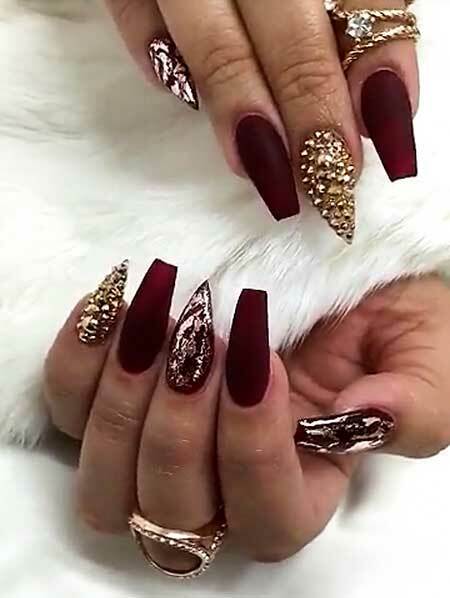 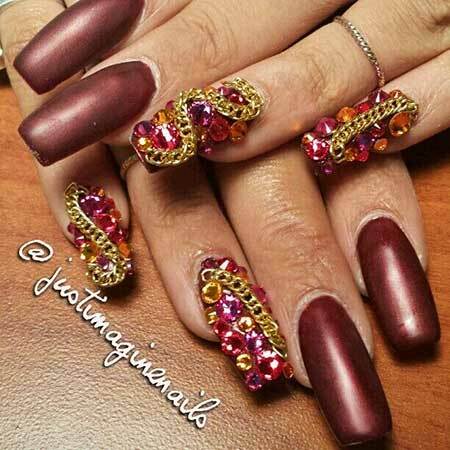 Whether you have long, short or fake nails there are lots of different nail designs that you can use burgundy and gold colors. 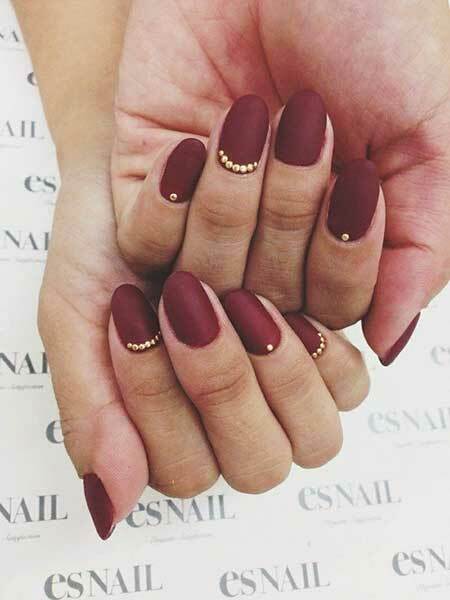 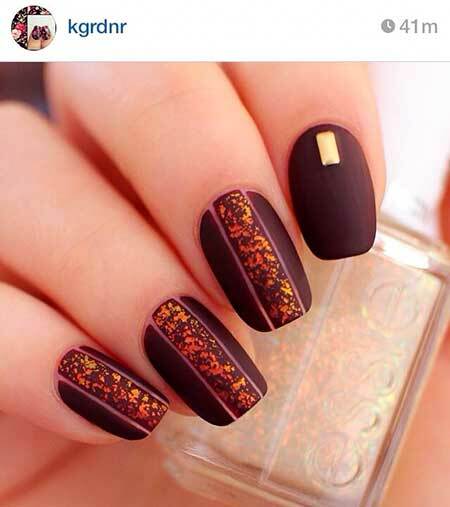 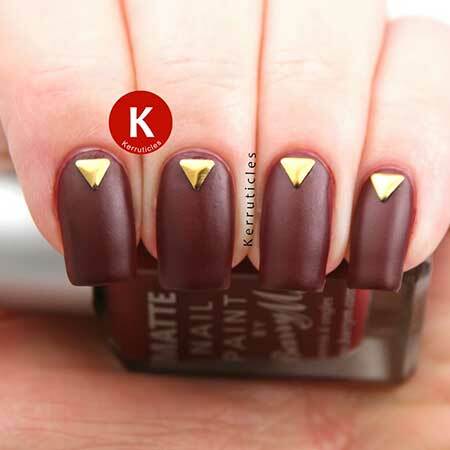 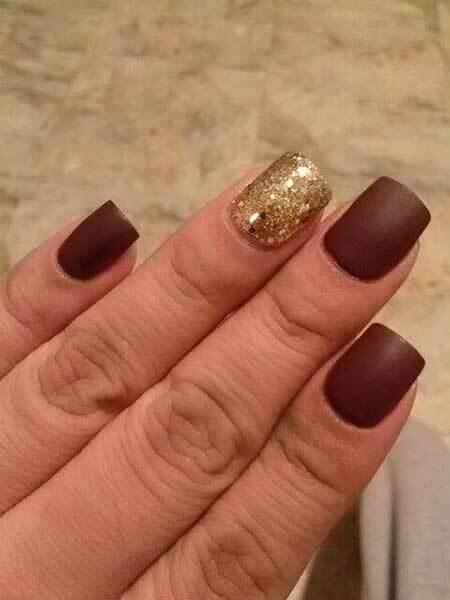 Golden dots would look gorgeous on matte burgundy base nails and perfect for almost every occasion. 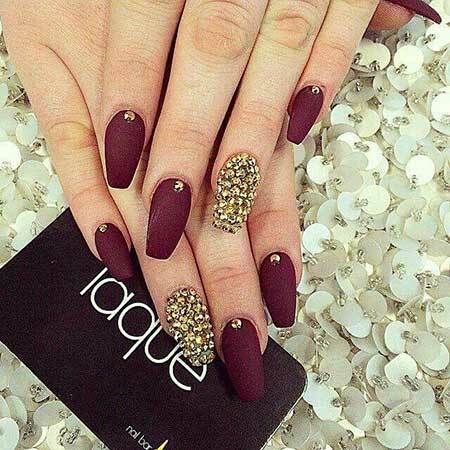 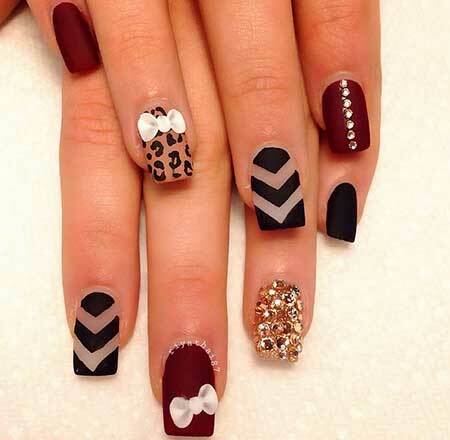 Here is a very elegant nail design idea that will make you look definitely classy and chic. 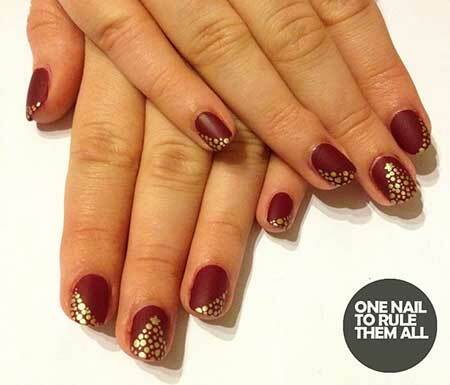 Simple details make wonders when it comes to nails, these tiny golden dots make a great statement of a chic style. 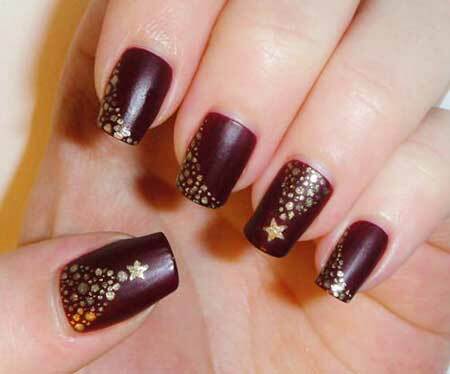 This nail art is perfect for Christmas time but we put it in our gallery anyways because it looks perfect! 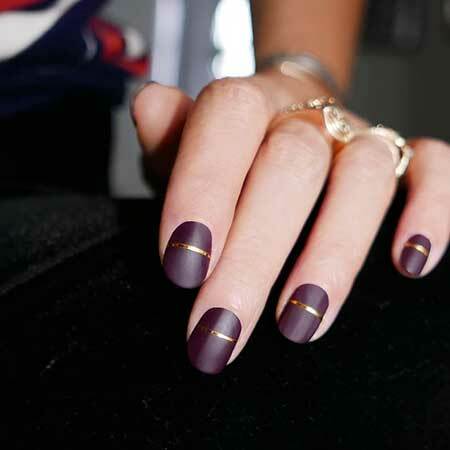 A simple shimmer gold fingernail is a good choice to simple flattering solution for a quick flawless look.